The STARS Student-Athlete Info Session is a lecture style information session where soccer student-athletes that are participating in the soccer showcase, along with their parents and coaches will have the opportunity to gather first-hand information on various topics about the process of becoming a successful student-athlete. 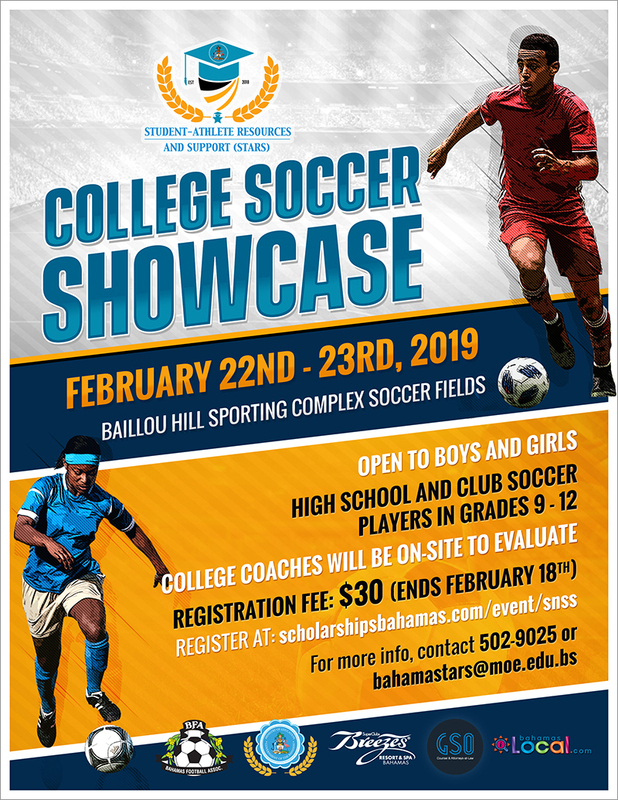 There will be in person as well as virtual presenters consisting of collegiate athletic association representatives, college coaches, and current and former Bahamian collegiate soccer athletes. Following the info-session, the students, parents, and local high school coaches, will have the opportunity to meet and network with attending college coaches during the reception where light refreshments will be served.